First creative collaboration. Peace, balance and melanin harmony are the message you’ll be sending to everyone you meet and pass by. It’s Melanin Zen you can wear. This image started with a photo shoot at a beautiful tiled pool on the Mexican Riviera. 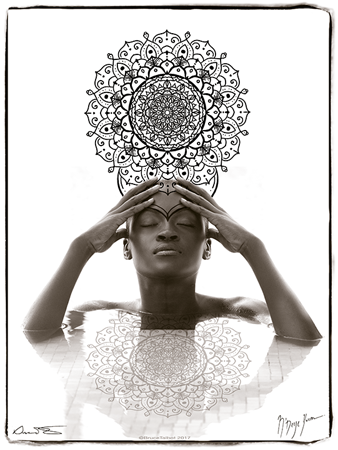 A melanin toned version of the image was then adorned with a mandala created by N’Deye Youm.